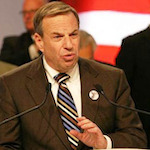 U.S. Rep. Bob Filner, D-Calif., Is the senior Democrat on the Veterans Affairs Committee. The House of Representatives this week approved a bill that would increase consumer protections for veterans using the GI Bill and ban colleges from paying bonuses or commissions for recruiting students. Under the bill, a college could not receive GI Bill tuition and fee payments if it provides a “commission, bonus or other incentive payment” for recruiting a student or arranging financial aid for a student to enroll at the school. The bill is aimed in part at for-profit career schools that pay recruiters based on their success, although the measure would apply to all post-secondary institutions. the House Veterans Affairs Committee. The bill, The Improving Transparency of Education Opportunities for Veterans Act, gained endorsements from the higher education community, including the Association of Private Sector Colleges and Universities that represents for-profit institutions. “This is a bill that APSCU has supported from its inception,” said Steve Gunderson, the association’s executive director. Also known as H.R. 4057, the bill has support from the University of Phoenix, a major player among for-profit schools. Among other provisions, the bill would “help rein in bad actors across all of higher education,” said Mark Brenner, senior vice president at the Apollo Group, the university’s parent company. Bilirakis called the House bill a bipartisan effort to gain consensus on GI Bill and related items. He said it would spur change by requiring the Department of Veterans Affairs to better inform veterans about their eligibility for education counseling and by creating a central complaint database on colleges. In addition, it will require the Veterans Administration to offer more online information to help veterans evaluate their skills and select a college. 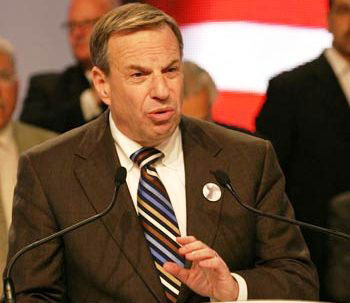 “With so many thousands of veterans using their Post-9/11 GI Bill, it’s important that they understand their benefits and eligibility and have all the information available to them,” said Rep. Bob Filner, D-Calif., senior Democrat on the Veterans Affairs Committee. Another provision of the House bill would make it easier for veterans to cite and use training they received in the military when seeking state or local occupational licenses or credentials. “If somebody can do a job while serving in a war zone, they can certainly do that same job at home in a safe environment,” said Rep. Steve Stivers, R-Ohio. A similar bill also cleared a Senate committee this week but is awaiting floor action. If the full Senate approves its bill, a House/Senate conference committee then would have to address differences between the plans. While expressing support for the House bill, some higher education leaders are not happy about some provisions. Molly Corbett Broad, American Council on Education president, said the House bill would create new paperwork burdens for colleges and “these requirements are not without cost.” One potentially thorny area is in reporting how colleges award credit for courses previously taken at for-profit colleges, she said. “Institutions have been overwhelmed by the pace and number of veteran consumer information requests emanating from the White House, Congress, multiple federal agencies and many state legislatures in recent years,” she wrote to House leaders.